When people talk about a greener New York, I always think of the lush sidewalks of West 28th Street. Few of Manhattan’s numbered streets have the ability to so transport a pedestrian to what feels like a different world, and it’s always a welcome detour in my scouting travels. The District’s beginnings can be traced to the early 19th Century, when vendors began congregating on 34th Street, near the docks, to sell flowers that had come from Long Island. As is the case with so many of New York City’s great neighborhoods and industries, the Flower District was a melting pot of immigrants who worked hard to start businesses and lives in America. Many of these early inhabitants of the Flower District were newly arrived from places like Germany, Poland, Greece, and Ireland, and the businesses they started, in many cases, would stay within their families for generations to come. 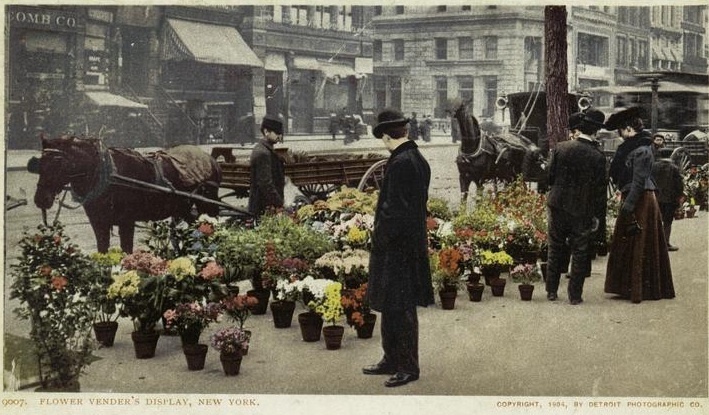 By the 1890’s, the Flower District had moved away from the Hudson and over to Sixth Avenue. Setting up on the Avenue of Americas, from 26th Street to 29th Street, the sellers gained closer proximity not only to the elegant residences of Fifth Avenue, but to “Ladies’ Mile,” a swath of blocks that was home to many of the day’s most fashionable department stores, including Bergdorf Goodman, Lord and Taylor, B. Altman, and Arnold Constable. The flower district soon became entrenched and flourished there… In its heyday, it drew buyers from throughout the metropolitan region and even from Pennsylvania and Massachusetts. More tons of flowers changed hands in New York than anywhere in the world except Amsterdam, according to a 1977 newspaper article. Although the District has shrunk geographically to its current home on West 28th Street, its bustling spirit is still very strong. If a visitor gets to the block at 8 am–after the licensed designers and wholesale merchants have come and gone–he or she will be treated to a shopping experience unlike any other. 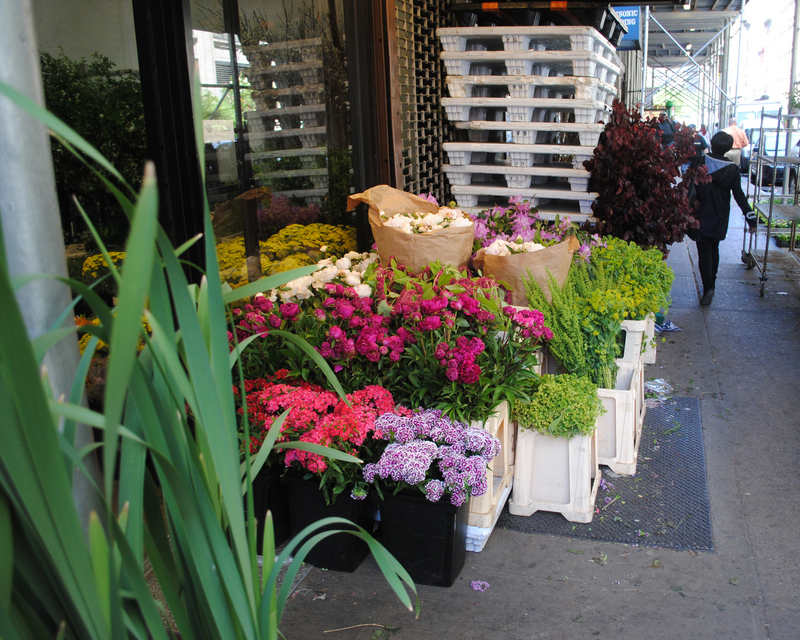 In fact, that’s one of the best things about New York’s Flower District; unlike Amsterdam’s Bloemenmarkt and the London Flower Borough Market, this Manhattan market is open to the public. Adam loading the Starbright Van! And while most of the sellers in the District are strictly wholesale, Starbright Floral Design provides a retail option for those looking to take home fresh, beautiful flowers at a reasonable price. 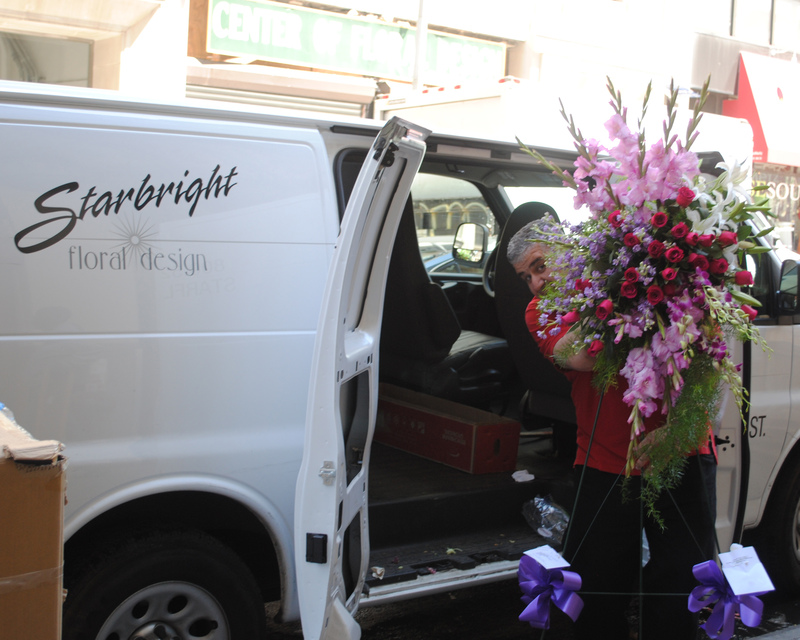 Located on the second floor of 150 West 28th Street, above the delicious Korean HIT Deli, Starbright is an open design studio, meaning you can watch our professionals put together your lovely arrangement while you wait. In addition to custom arrangements, we also offer a wide selection of ready-made designs for your convenience. Some arrangements currently on offer that we highly recommend include the delightfully pink Full of Life, the subtle and elegant Peony Garden Fusion, and for you Beatles lovers, the gorgeous White Album, featuring white lilac, cream roses, white hyacinth, white amaryllis, white hydrangea, and white phaelonopsis bloom, accented with dusty miller and lily grass loops. 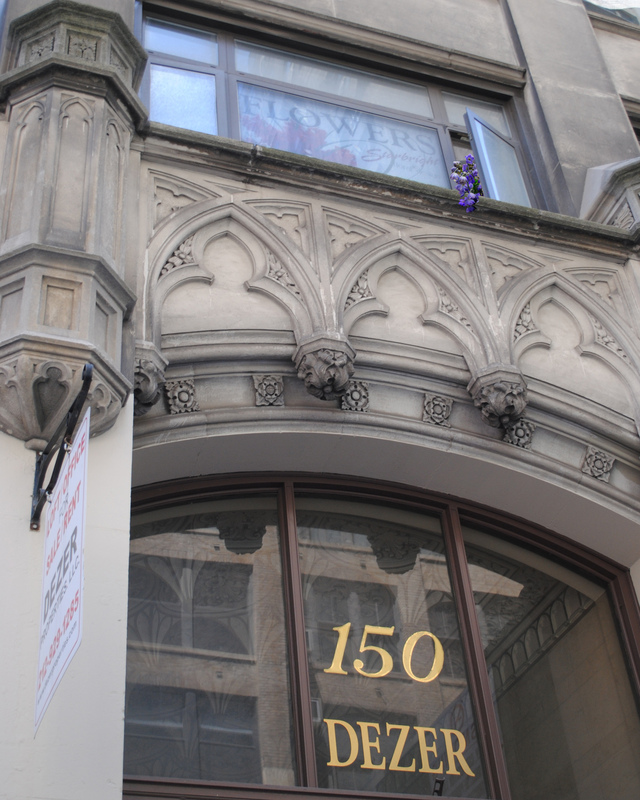 150 West 28th Street – see us up there on the 2nd floor? 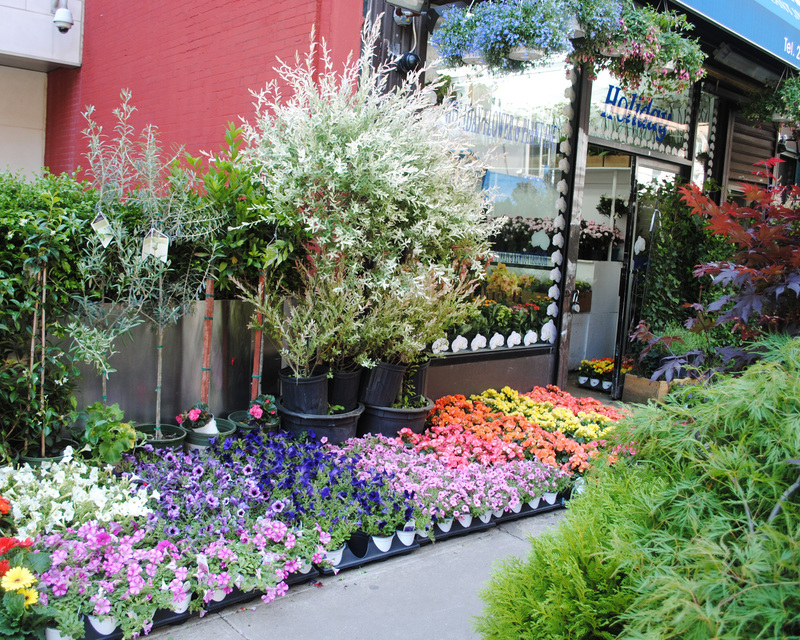 Starbright is truly lucky to call the New York City Flower District our home. 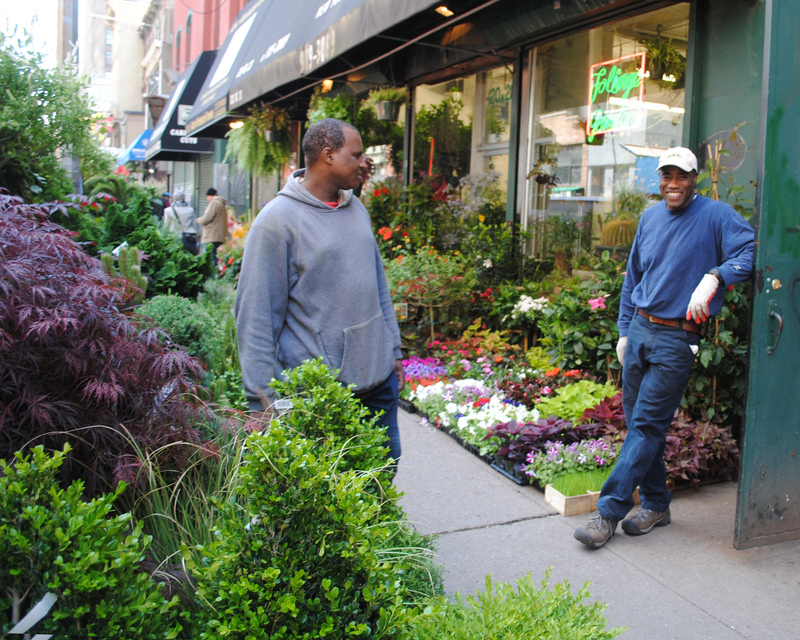 With such a deep history and with a community of sellers who are passionate about high-quality flowers, it is one of the most remarkable areas of the city. We invite you to come visit and see the magic of the District for yourself! Previous Previous post: Scent and Memory – There’s More to it Than You “Think”.